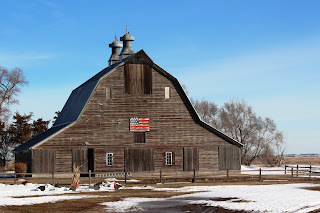 The February meeting of the Nebraska Lincoln Highway Historic Byway Board of Directors was held in Wood River, Nebraska, which, of course, meant ROAD TRIP! 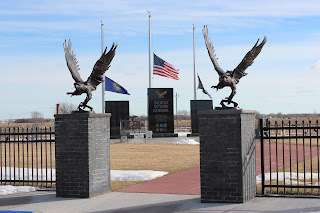 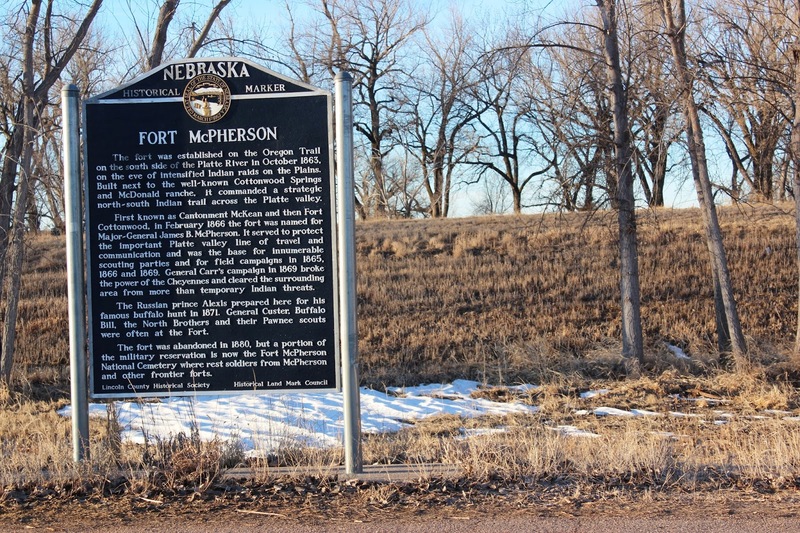 The first stop east of North Platte was the historical marker for Fort McPherson, ironically located just off of the Lincoln Highway, several miles north of the actual site of the Fort. Next up is the Village of Maxwell, that has several quaint highway-heyday era architecture examples. 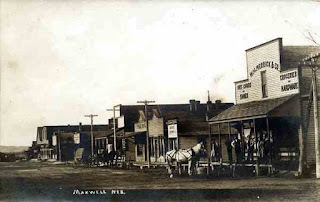 Historic Maxwell photo showing the same location as the above two photos. 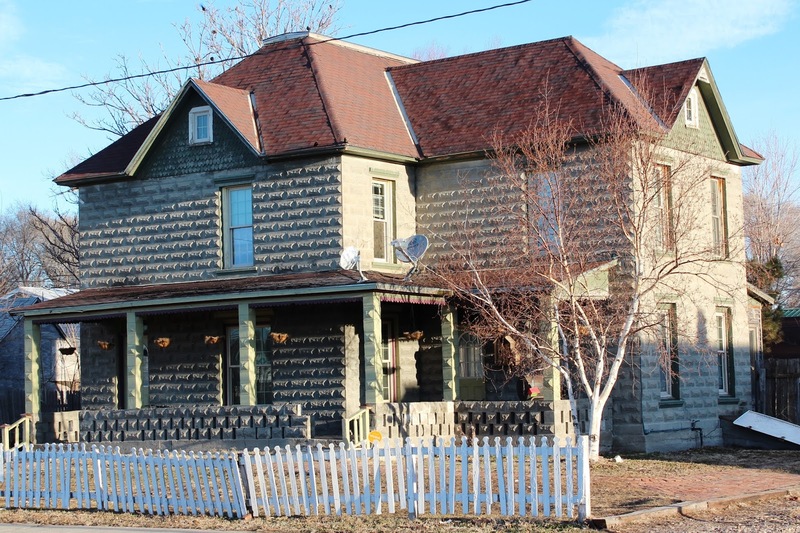 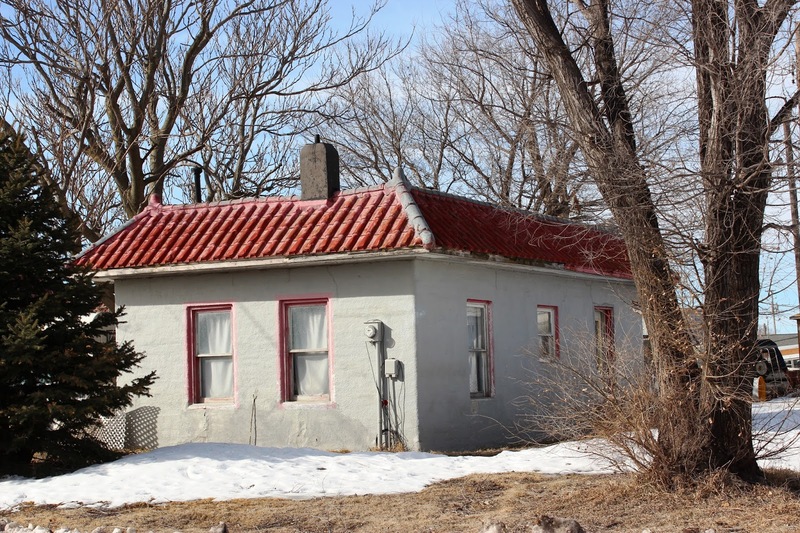 An historic stone house right along the Lincoln Highway on the east edge of Maxwell. 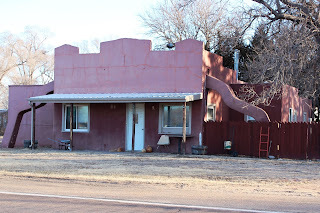 Farther to the east in Brady, you'll also find unique Lincoln Highway architecture. If you look closely, you'll see a ghost "Firestone" sign on this abandoned service station in Brady. 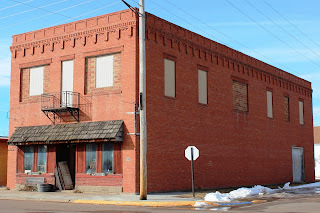 The front of the building shown above. 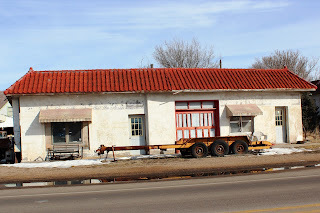 This old garage is a terrific example of what would have been found during the early days of the Lincoln Highway, if you look closely, you'll see it advertises service for Automobiles and Carriages. 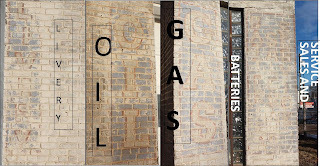 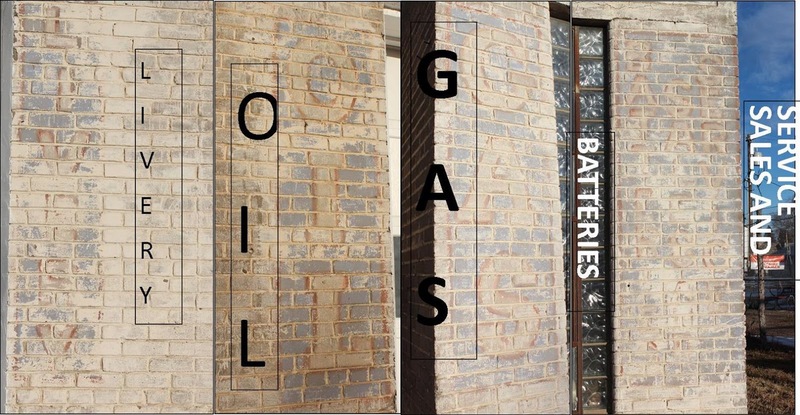 Here are the ghost signs that can bee seen on the columns of the garage building. 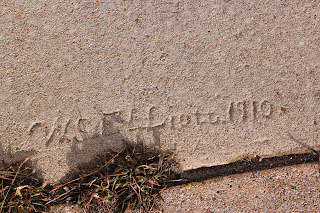 In the concrete in the front of the building is the date 1910, and what looks like the name W. C. Elliott. 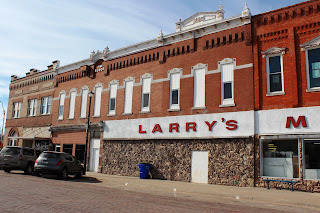 Another great building in Brady. What used to be the Brady Tavern. 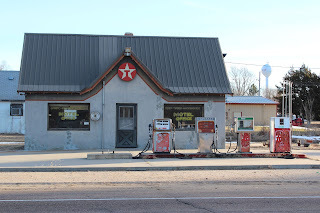 Historic service station in Brady. 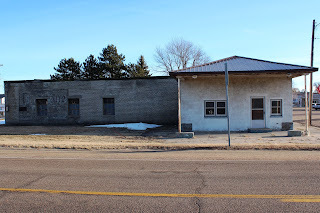 There used to be a motor court behind this station. 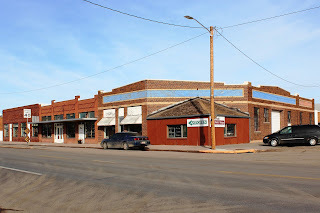 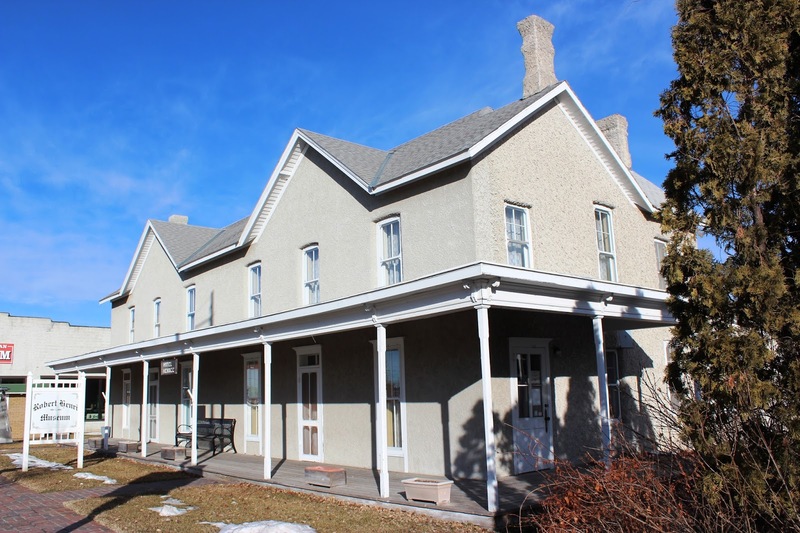 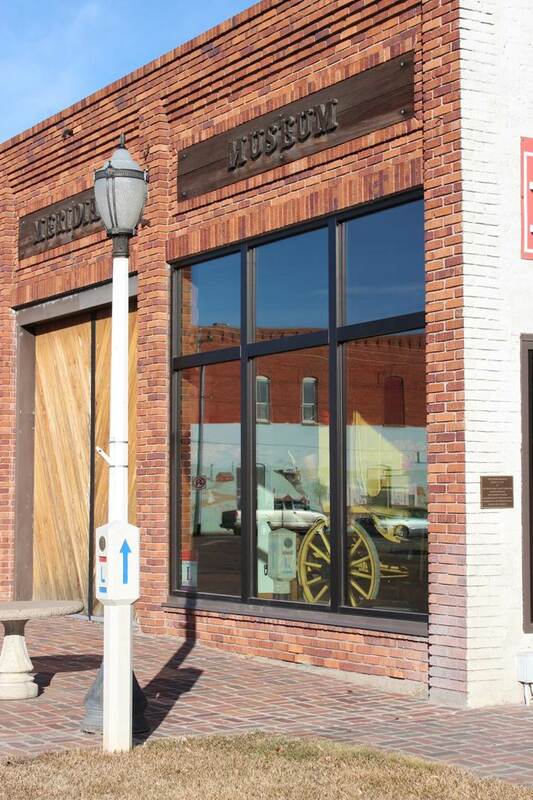 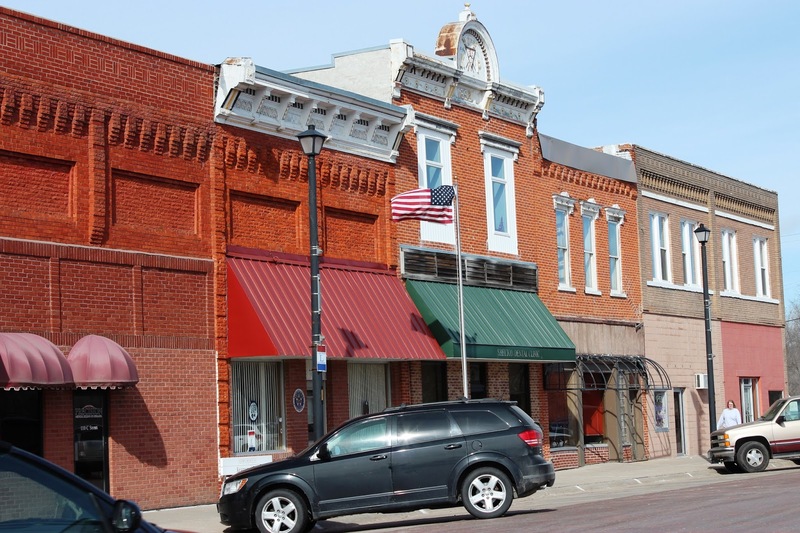 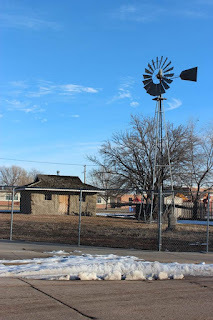 The city of Gothenburg is an amazing Lincoln Highway community, with beautiful historic homes, a vibrant business district, and of course, the Pony Express station and museum. All of these are represented in numerous photos elsewhere, so here we'll just post a photo of the beautiful Lincoln Highway frontage in the community. 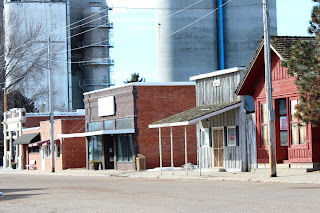 The Lincoln Highway winds through Gothenburg, and exits (or enters, depending on your direction of travel), near the school in the northeast part of town. 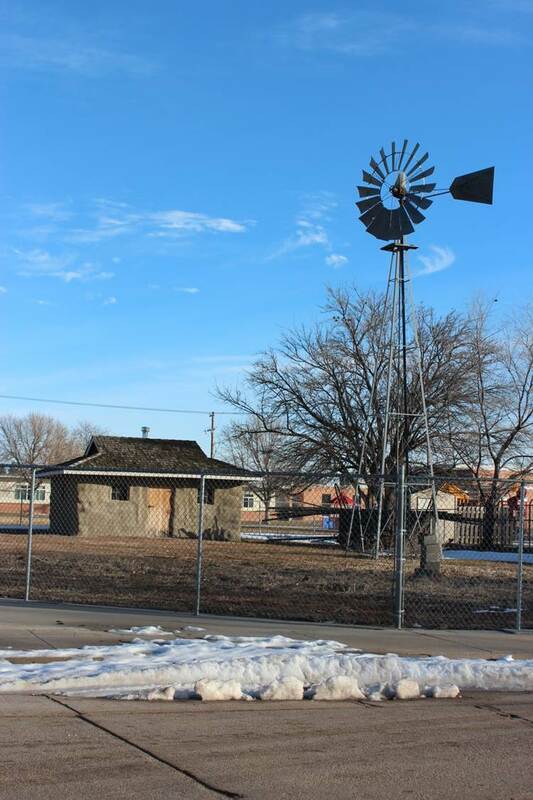 Where it turns east, you'll find this quaint road-side historical site, complete with cabin and windmill. 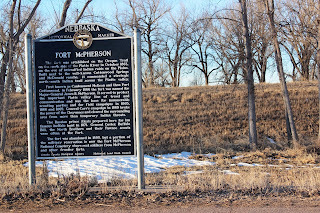 Traveling the original alignment of the Lincoln Highway between Gothenburg and Cozad takes you on paved county roads. 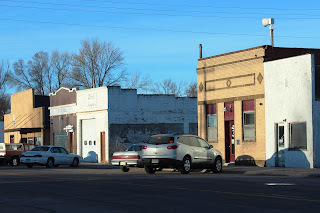 You're supposed to turn south into Cozad on Road 420, but, if you know anything about today's pop culture, you'll understand that road signs with "420" on them don't last too long. 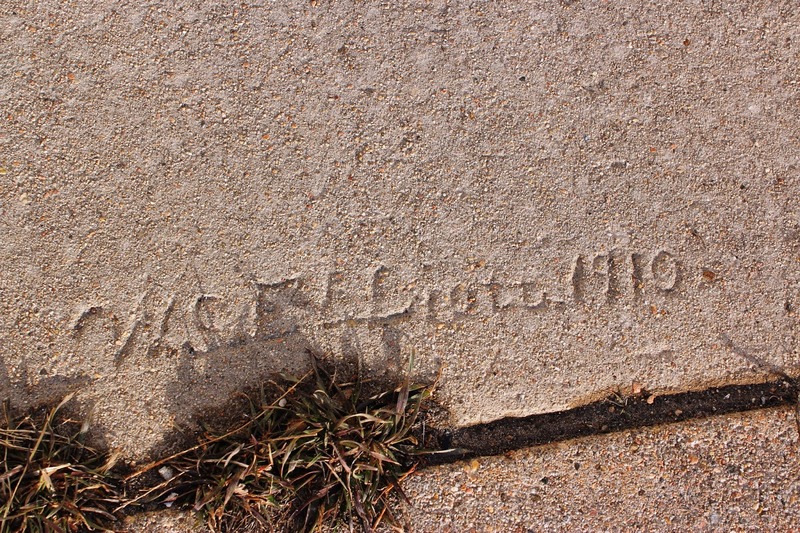 Apparently Dawson County has given up trying to replace them. 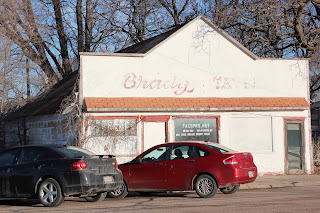 We missed our turn into Cozad and had to back track a little. 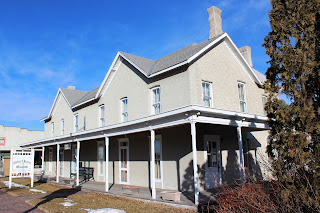 Above is pictured the Robert Henri Museum. Next to the Henri Museum is the 100th Meridian Museum. There is a beautiful mural in downtown Cozad, with the Lincoln Highway being featured prominently. Near the east edge of Cozad on the original alignment, is an obvious Lincoln Highway service station. 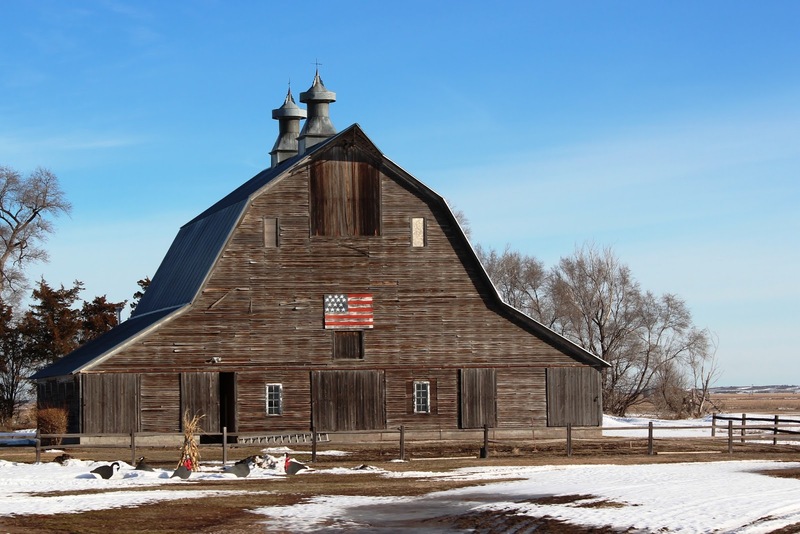 On these original alignments, you'll find many beautiful barns just like this one. 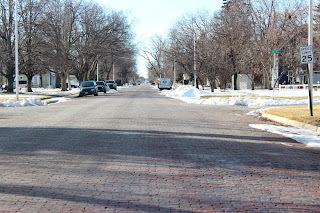 The original Lincoln Highway route through Lexington misses all of the current downtown and highway frontage. 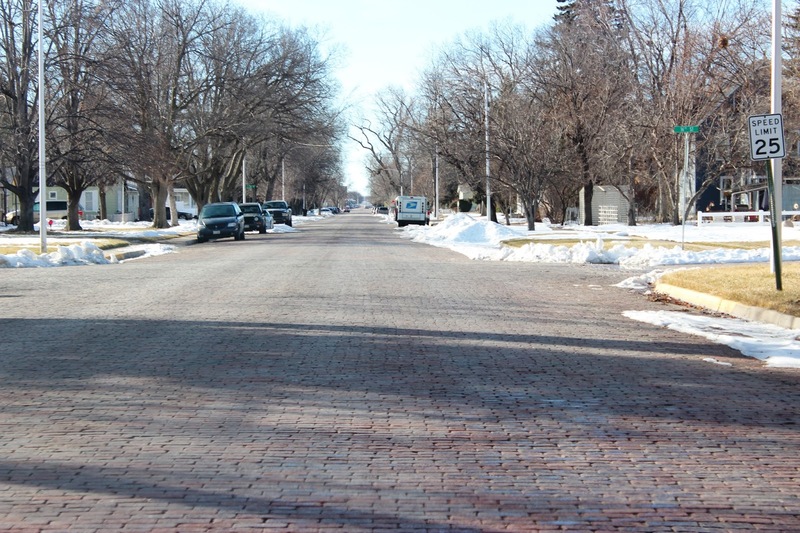 However you will find quite a large section of original brick streets. 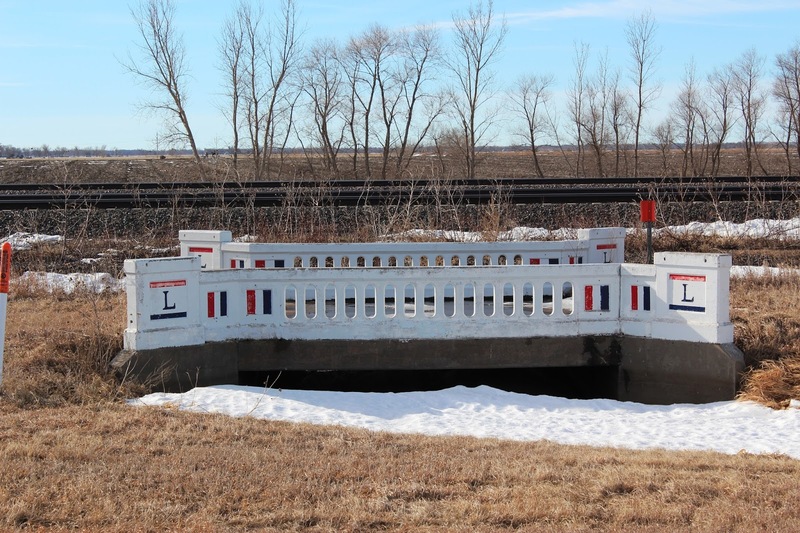 Overton is perhaps best known to Lincoln Highway aficionados for the quaint bridge that remains from the original alignment. 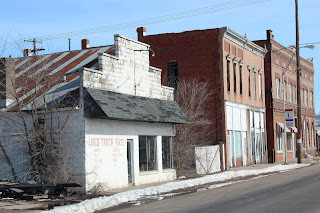 However, Overton is also a quaint village with great architecture. 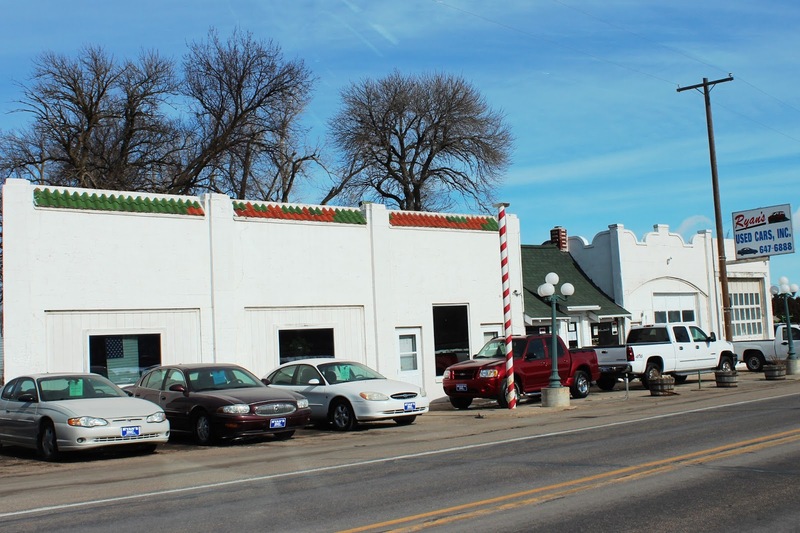 One of Overton's biggest attractions is Tiedes, which takes up nearly all of the Lincoln Highway frontage through town. 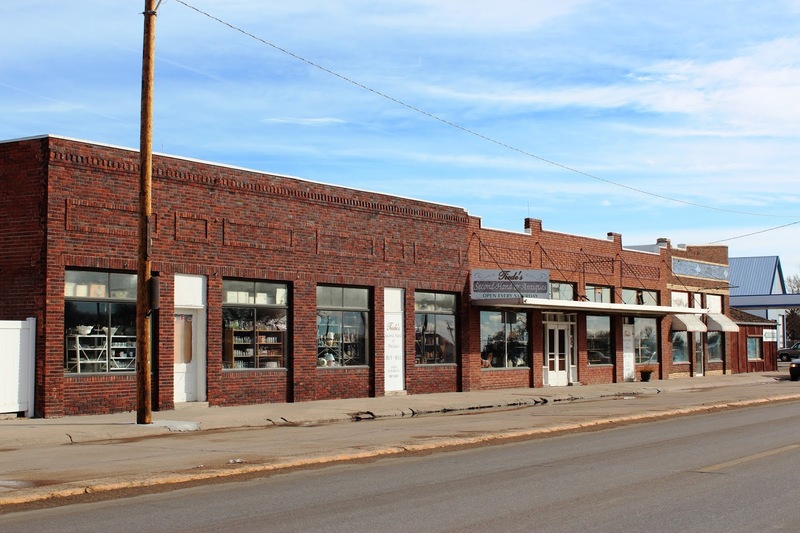 Covering nearly an entire city block, Tiedes is a must stop for antique enthusiasts. 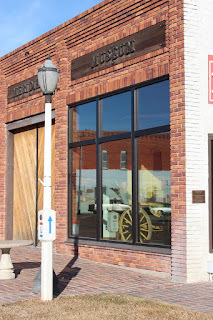 Open every Saturday or by appointment. 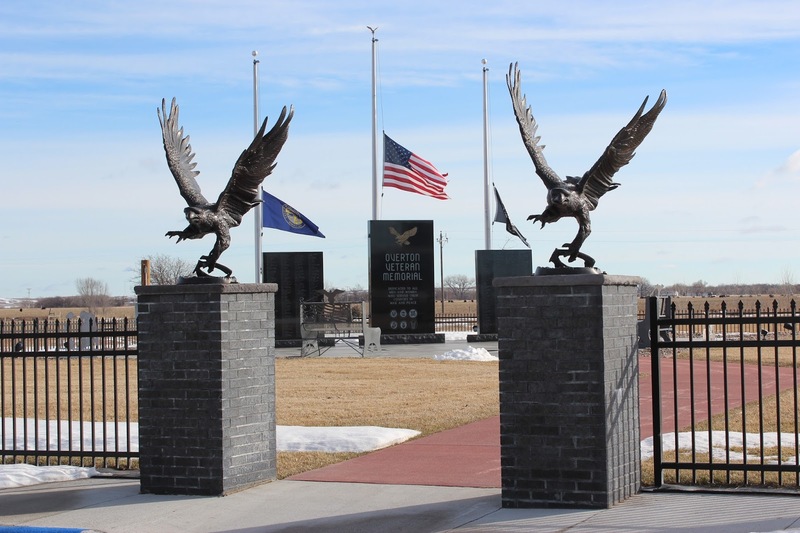 Overton also sports an impressive Veterans Memorial. 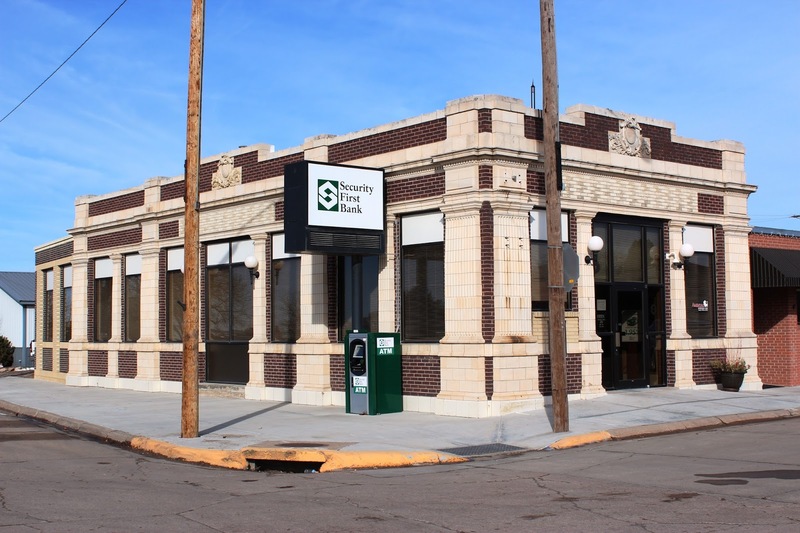 A beautiful historic bank building, also currently being used as a bank. 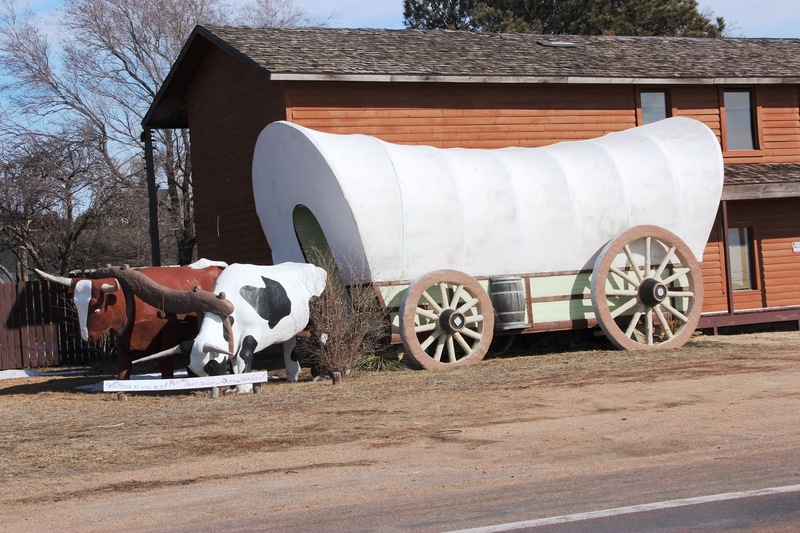 Someone posted this post card on the Nebraska Lincoln Highway Facebook page. 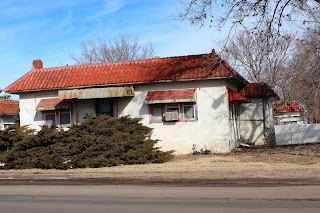 I had never noticed the historic motor lodge in Elm Creek before, so I had to find it. 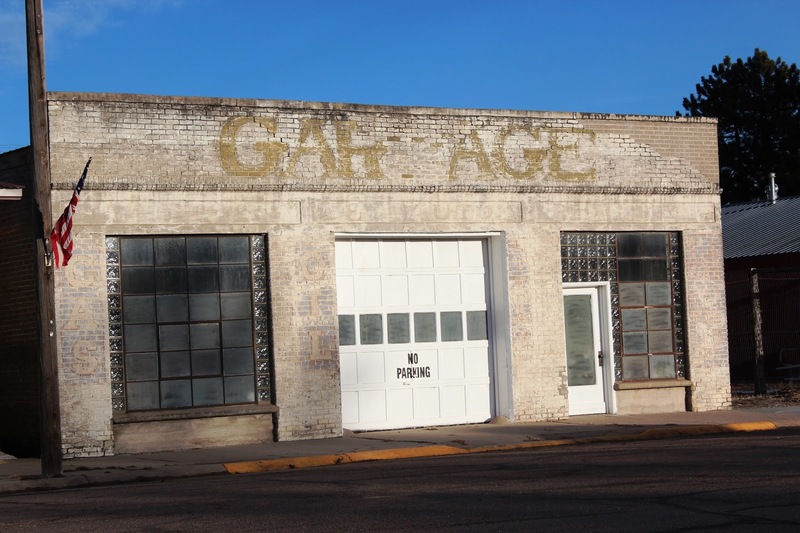 What was the garage in a bygone era. 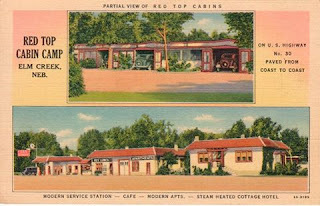 What remains of the cabin. 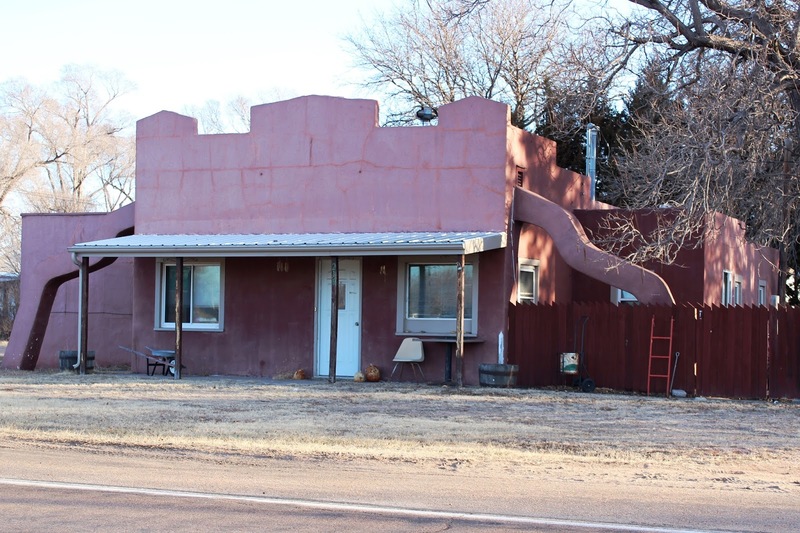 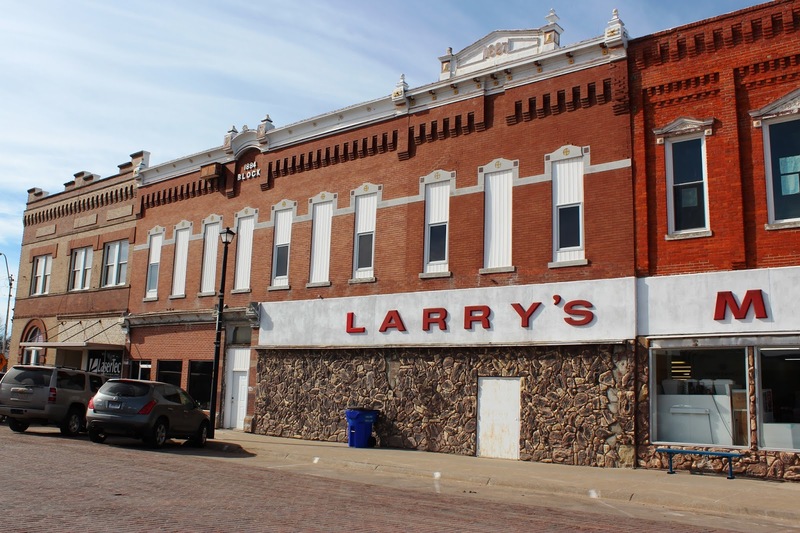 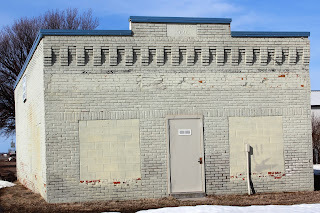 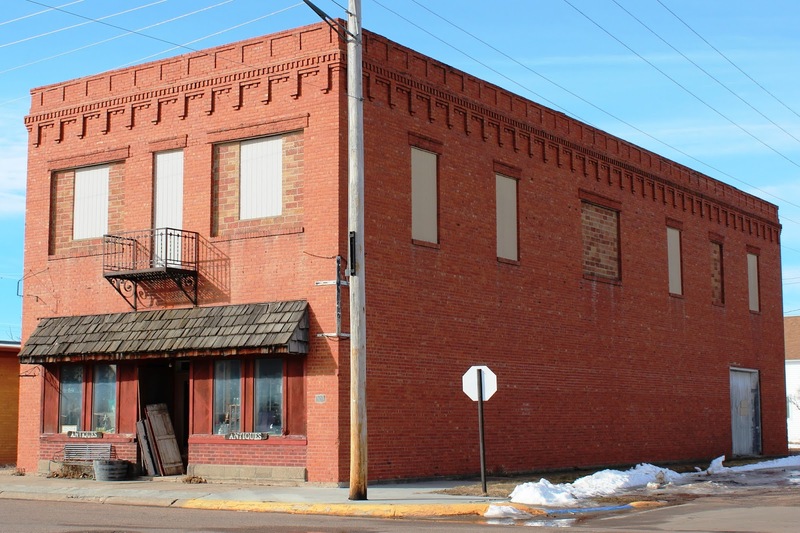 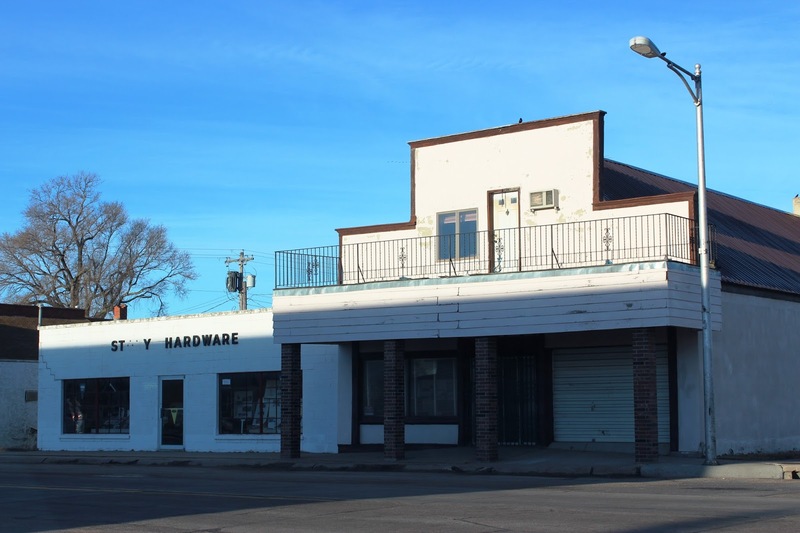 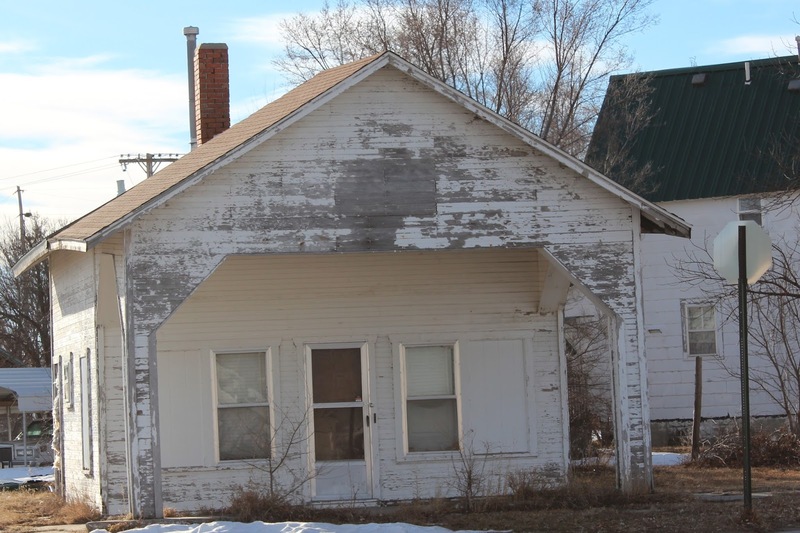 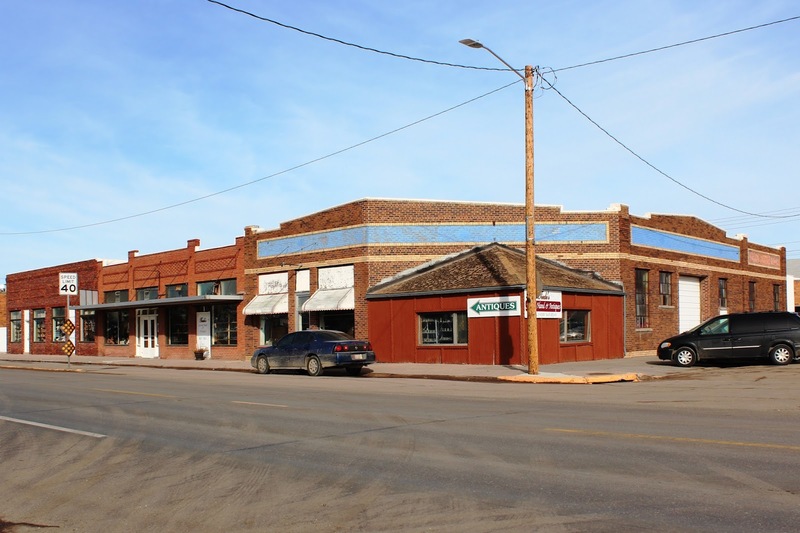 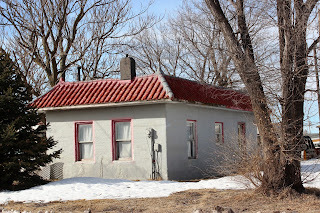 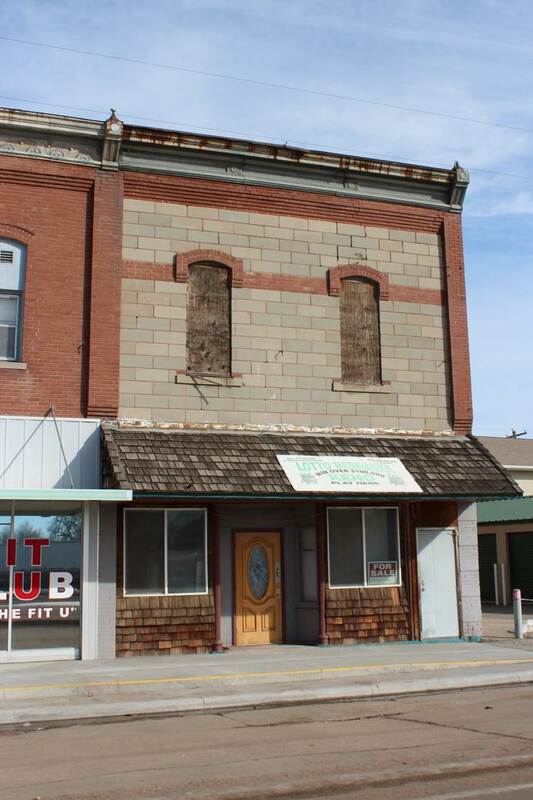 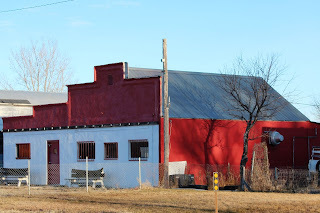 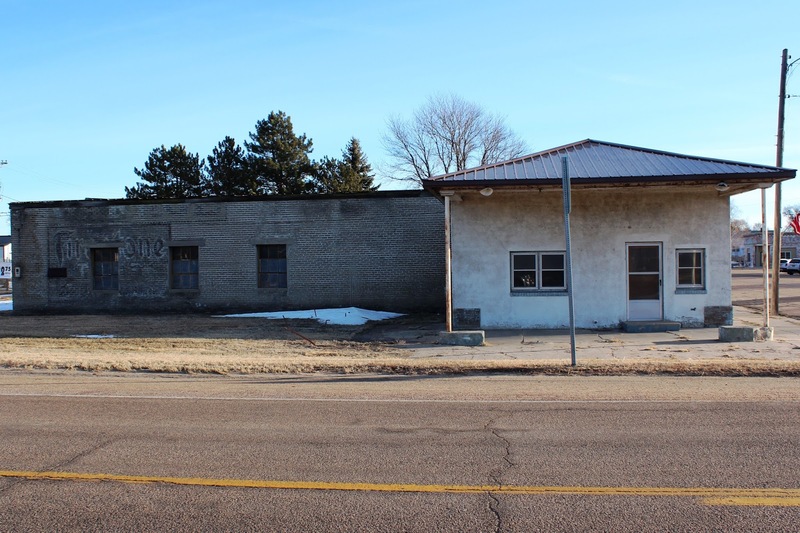 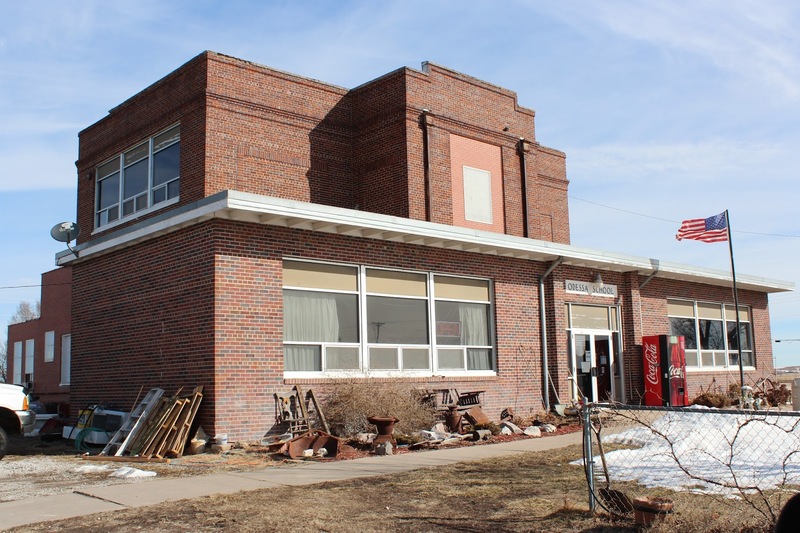 There are a few interesting buildings remaining in downtown Elm Creek. Odessa is another stop for antiquing. The former school has been converted into an antique and furniture store, Odessa Furniture. 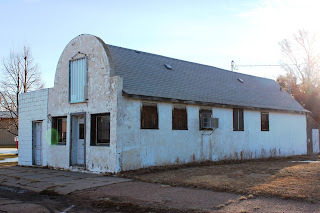 Historic abandoned building in Odessa. Kearney also has wonderful Lincoln Highway history. 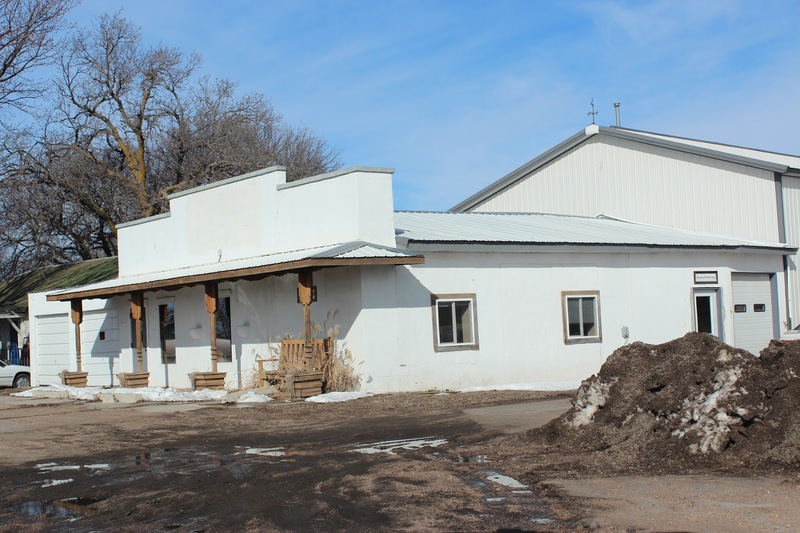 For this post, we'll only show the Oxen west of Kearney, that is in the process of being restored. Lincoln Highway enthusiasts in Shelton brought this ghost sigh back to life. Along the Lincoln Highway frontage in Shelton, you'll find the Nebraska headquarters of the Lincoln Highway Association. 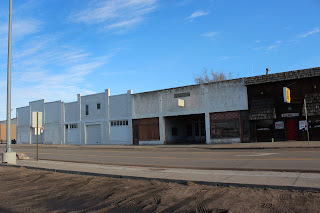 More great iconic Lincoln Highway architecture near the east edge of Shelton. 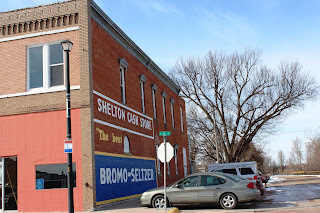 Any time you can take a road trip along the Lincoln Highway, it's a great day! We took about four hours to get from North Platte to Wood River, about 130 miles. 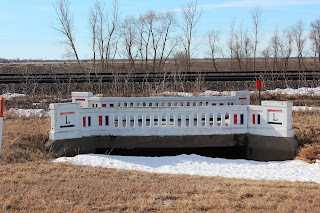 I highly recommend taking much longer!